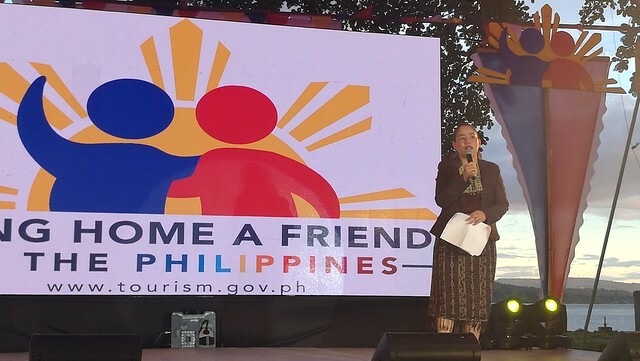 Bring Home a Friend to the Philippines is a campaign of the Department of Tourism (DOT) which is a referral incentive program encouraging Filipinos living here and abroad as well as Philippine expats to invite friends and foreign tourists to come and visit the Philippines. A media launch was held in Davao City last November 13, 2017 in Pearl Farm Marina at Waterfront Insular Hotel Davao. Regional launch and activation of the program were held across the country during the BHAF Regional Roadshow. It was also launched in 8 major source markets in the USA: New York, Los Angeles, San Francisco; in Seoul, Korea; in Tokyo, Japan; in Dubai, UAE; Vancouver, Canada; and London, United Kingdom. Sponsors can get a chance to win by joining the said incentive referral program. Win a Megaworld Eastwood Le Grand condo unit for the first prize! 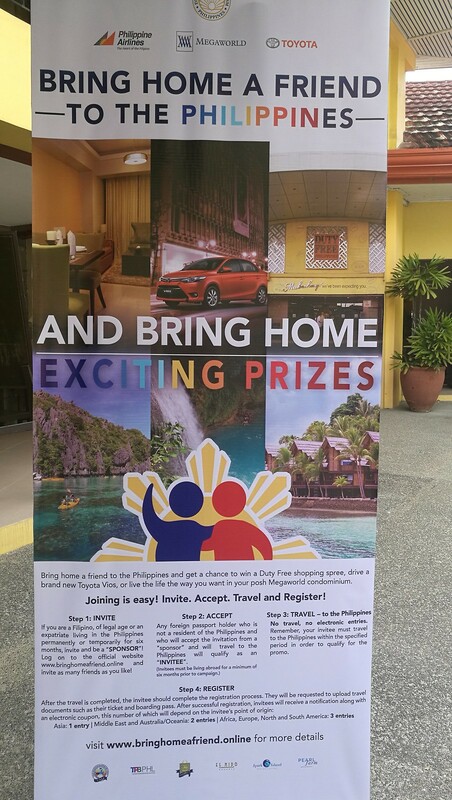 Drive a brand new car in a Toyota Vios for the 2nd prize! Duty Free shopping spree with a gift certificate worth P200,000 for the 3rd prize! Also, the invitees can get a chance to win exciting prizes as well. Check them out below. First prize is two roundtrip international business class tickets + two roundtrip domestic tickets to Palawan + 6-day/5-night stay at El Nido Hotel and Resort. Second prize is two roundtrip premium economy class tickets + two roundtrip domestic tickets to Cebu + 5-day/4-night stay at JPark Island Resort and Waterpark. Third prize is two roundtrip international economy class tickets + two roundtrip domestic tickets to Davao + 5-day/4-night stay at Pearl Farm Beach Resort. Joining is EASY! Invite. Accept. Travel. Register! 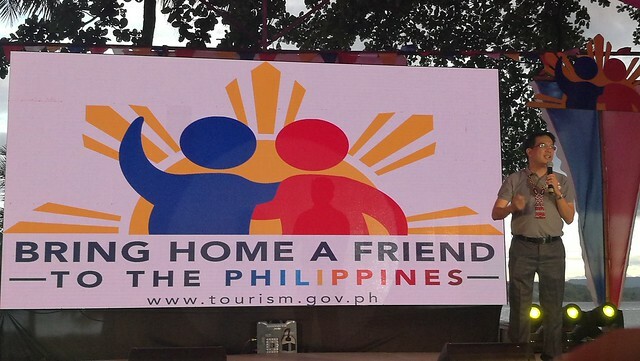 Visit www.tourism.gov.ph or www.bringhomeafriend.online. You may also check out the DOT or BHAF booths located at the airport. You may also check the Facebook and Instagram accounts: @BringHomeAFriendPH or the Twitter account @BringHomePH. You may reach them at (02) 459 5200 local 316 or mobile phone (+63) 998 592 5828. Promo runs from October 15, 2017 to April 15, 2018. According to the DFA report issued in 2015 based on the DOT press release, there are 9.1 million Filipinos overseas. If we can bring them home for a vacation or visit, especially if each of them can bring home even one foreigner friend to come and visit the Philippines, that will mean a lot to our country’s tourism industry. I am doing my part, a family member is coming home for Christmas holidays 2017 and is bringing a foreigner friend. You can do your part too! Yes, YOU too should Bring Home A Friend to the Philippines!